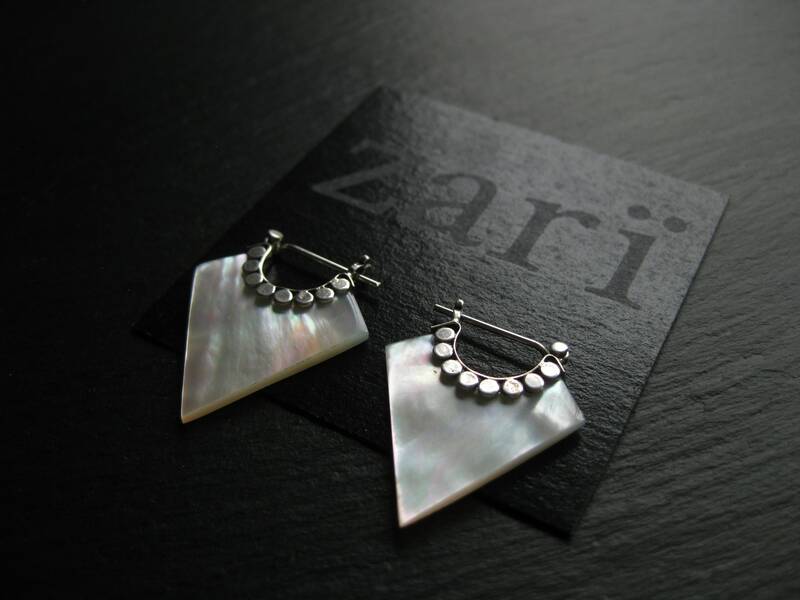 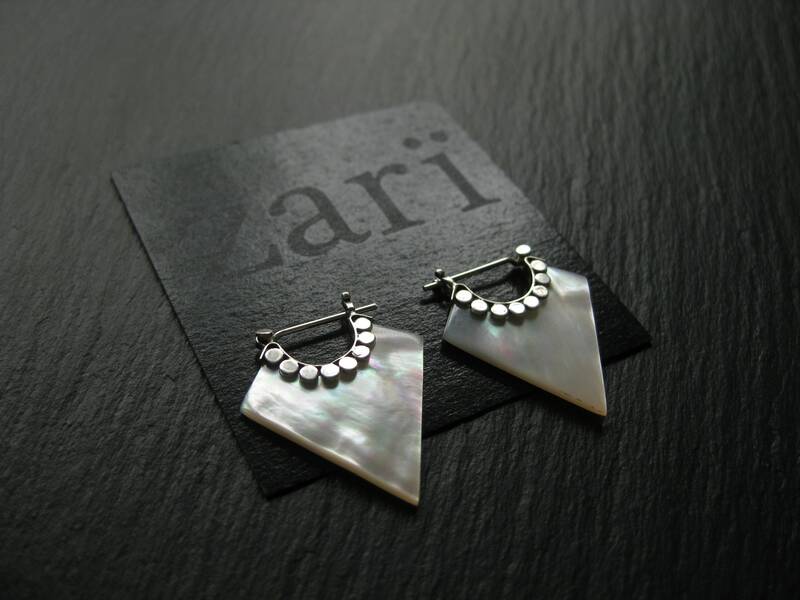 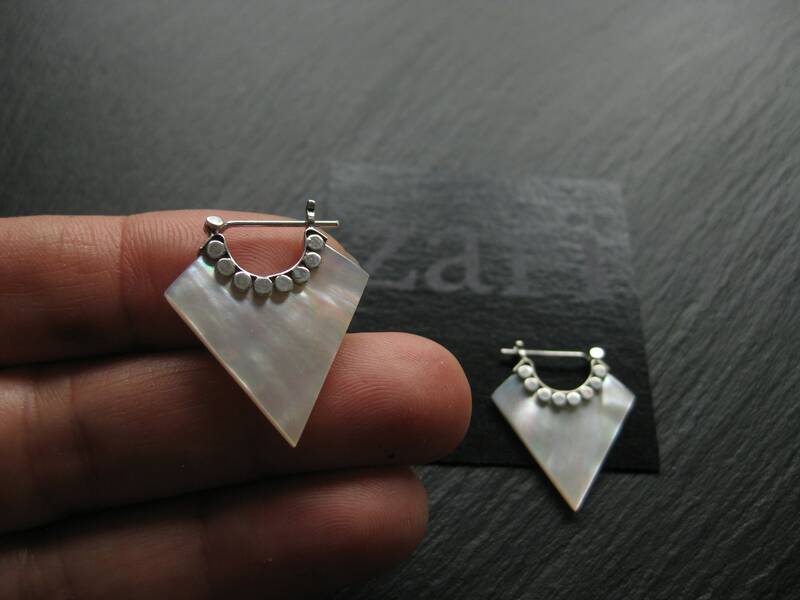 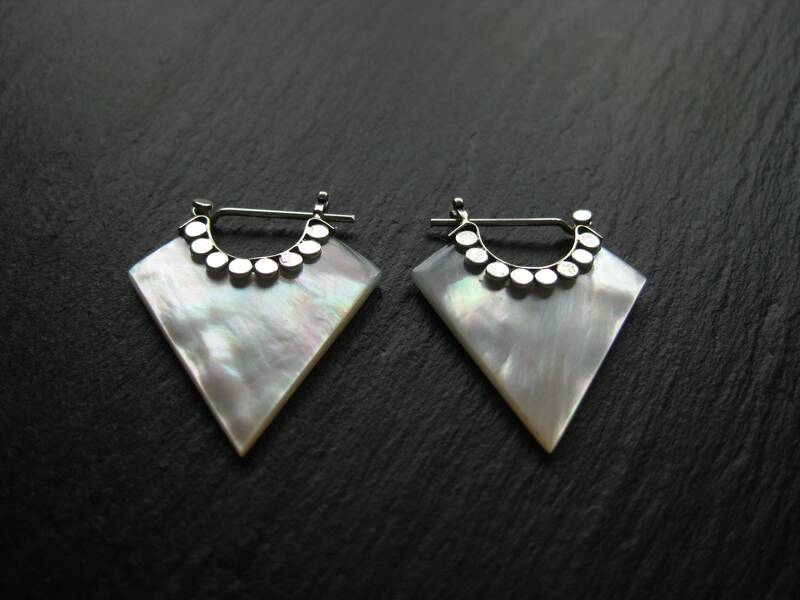 Stunning Mother of Pearl dainty hoop earrings with sterling silver detail and clip-on closure. 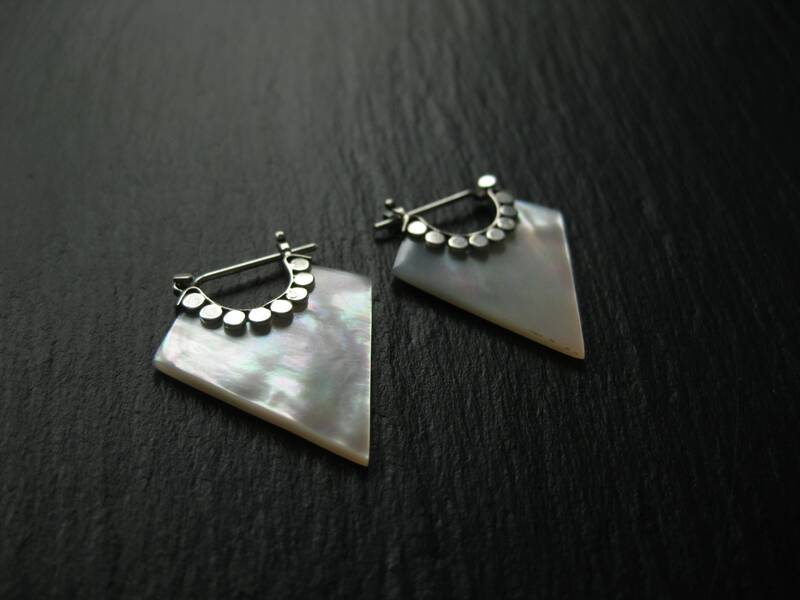 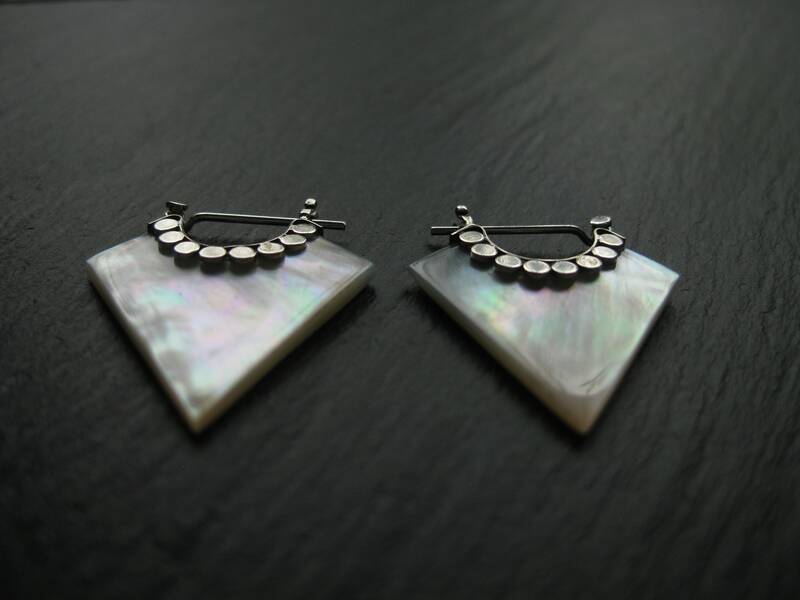 These cute minimalist and elegant tribal hoop earrings will get heads turning! 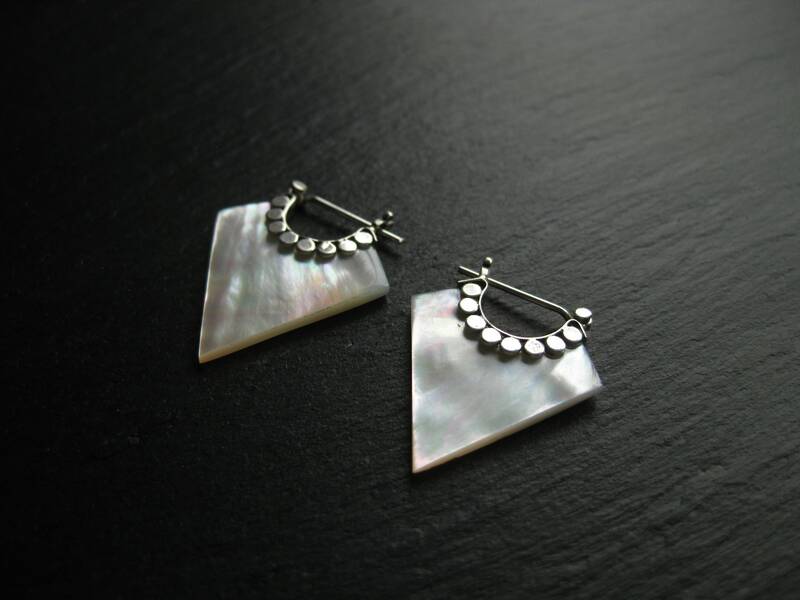 Super light and easy to wear, these will give a kick to any of your outfits, casual or chic! 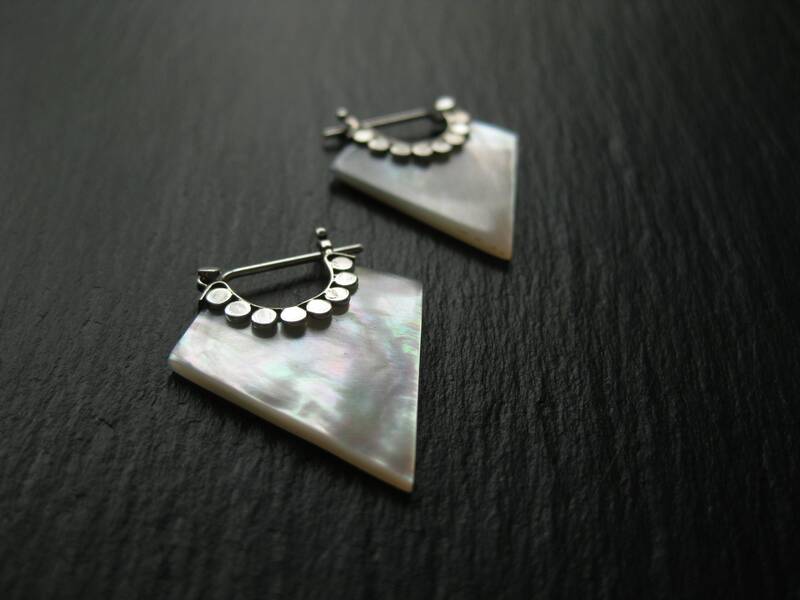 We do not recommend swimming or bathing with your jewelry / We recommend storing your jewelry in a safe, shock free and dry individual compartment.